With the “Lost in the 50’s” weekend upon us many visitors and locals to the Sandpoint Idaho area are disappointed to see the spring rains visiting us on this particular weekend. The participants in the car show seem undaunted with last night having shown to be very successful with the parade. We will hope for the skies to clear for today’s ‘street festival’ and displaying of the cars. What has to be appreciated is the lush spring colors that are showing themselves off with the cleansing of these rains. While traveling to a successful listing appointment with associate Rain Silverhawk she mentioned how much she enjoyed the colors of spring. I was surprised it was not the normal budding of flowers and colors but the fresh shades and hues of green. Since her statement I find myself daily in awe of all the shade of green that make up our hillsides, valleys, pastures of North Idaho. The shot above I felt a good example of exactly what I speak. 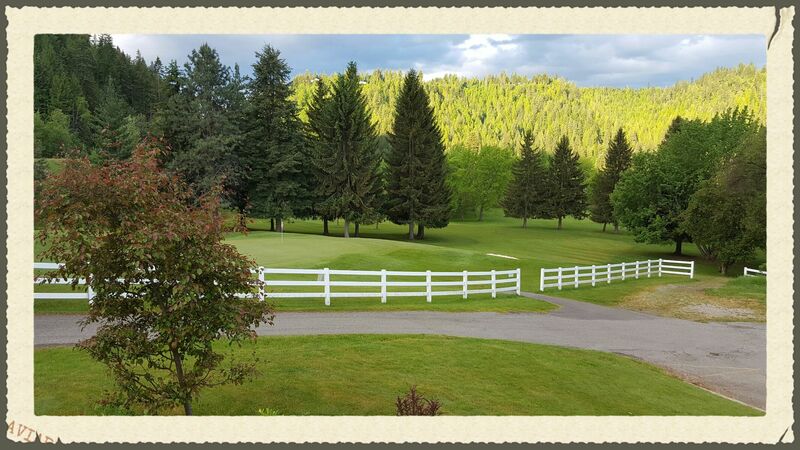 Taken at Mirror Lake Golf Course – Bonners Ferry Idaho. Experience the change of pace “Living In North Idaho” will make. Contact me as your local North Idaho Real Estate resource. Search ‘Bonners Ferry Homes for Sale’ & ‘Sandpoint Homes for Sale’ Click Here !